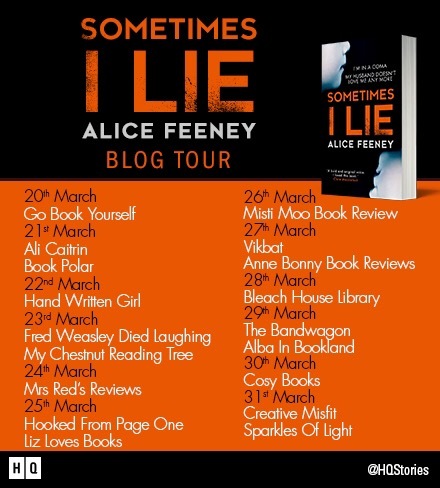 Alice Feeney has just published her debut thriller Sometimes I Lie and she has kindly agreed to write a guest post about The Unreliable Narrator, and the writing process. I also have three copies of her book to giveaway at the end of the post. You can read my review here: Sometimes I Lie Review. Here’s what Alice has to say about writing her first book. I love unreliable narrators! I’m really rather fond of Amber, but she doesn’t have the tightest of grips on reality, and I think that’s what makes her so interesting. Amber isn’t just unreliable for the readers, she’s unreliable for herself. Sometimes I Lie is a story about the lies we routinely tell each other, but for me, it’s more about the lies we tell ourselves. I think we are probably all guilty of that from time to time, and I think those lies can actually be far more dangerous. People like Amber use them almost as a coping mechanism when they need to, because sometimes the truth of our lives, who we are and what we’ve become is unpalatable. It’s also a story about how we become different versions of ourselves to suit the people around us and how when you spend too long pretending to be someone you’re not, you can forget who you really are. The story navigates between the past as well as the present, including a series of childhood diaries. I think that memories too can often be lies. We all remember certain events, days, moments in a slightly different way, and your memory of an event could be quite different from mine, but we would both believe our own version to be the truth. Writing this book was so much fun, but I am definitely a planner. I think about a story for a really long time before I’ll commit to writing it – my stories often spend months simmering away in the background before I begin. I have a giant corkboard at home covered in different coloured cards – each one represents a new chapter and I can’t write a word until the whole thing is planned out. That plan may change during the writing, and in my experience it always does, which is absolutely fine – it’s quite fun when the story starts to write itself. There is no right or wrong way to do it though, I think it is just about finding whatever way works best for you. There are authors who can just sit and write and I think they must be far cleverer than I am. For me, starting without a plan would be like setting off on a long walk with the dog to somewhere we have never been before without a map – I’d be worried the whole time about getting lost! Check out the other stops on the blog tour using the information below. I think you’ll enjoy it. Certainly gets you thinking! Entered! Been so eager to read this! Good luck! 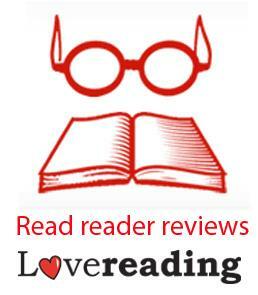 There are so many great reviews out there, it’s definitely a big hit. Our winners have now been selected and notified by email. I loved this book. THAT ENDING! I hear that Alice Feeney is coming out with another book called Sometimes I Kill – I wonder if it’s a sequel to this book?